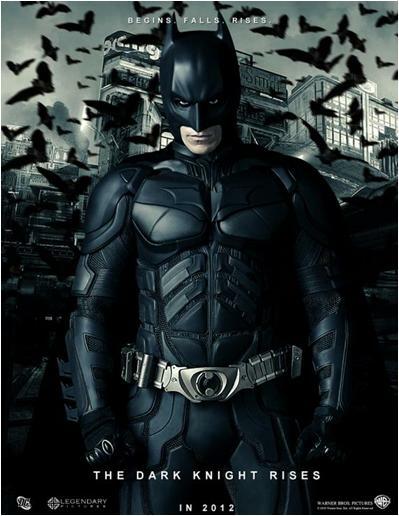 It has been eight years since Batman vanished into the night, turning, in that instant, from hero to fugitive. Getting the blame for the death of D.A. Harvey Dent, the Dark Knight sacrificed everything for what he and Commissioner Gordon both hoped was the greater good. For a time being, the lie worked, as criminal activity in Gotham City was crushed under the weight of the anti-crime Dent Act. But everything change with the arrival of a cunning cat burglar with a mysterious agenda. Anne Hathaway reinvents Selina Kyla aka Catwoman in The Dark Knight Rises. Far more dangerous, however, is the emergence of Bane, a masked terrorist whose ruthless plans for Gotham drive Bruce out of his self-imposed exile. But even if he dons the cape and cowl again, Batman may be no match for Bane. Showing in all cinemas nationwide today July, 19, 2012 under Warner Bros. Pictures. Starring: Christian Bale, Anne Hathaway, Tom Hardy, Marion Cotillard, Joseph Gordon-Levitt, Michael Caine and Gary Oldman.